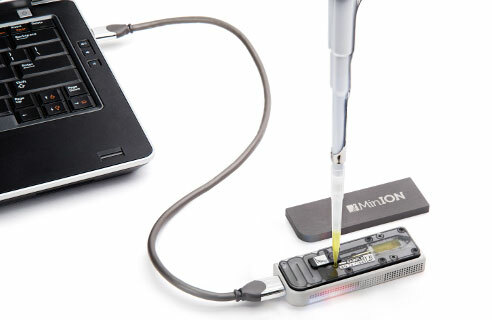 (Nanowerk News) New nanopore DNA sequencing technology on a device the size of a USB stick could be used to diagnose infection - according to new research from the University of East Anglia and Public Health England. Researchers tested the new technology with a complex problem – determining the cause of antibiotic resistance in a new multi-drug resistant strain of the bacterium that causes Typhoid. The results, published today in the journal Nature Biotechnology ("MinION nanopore sequencing identifies the position and structure of a bacterial antibiotic resistance island"), reveal that the small, accessible and cost effective technology could revolutionise genomic sequencing.